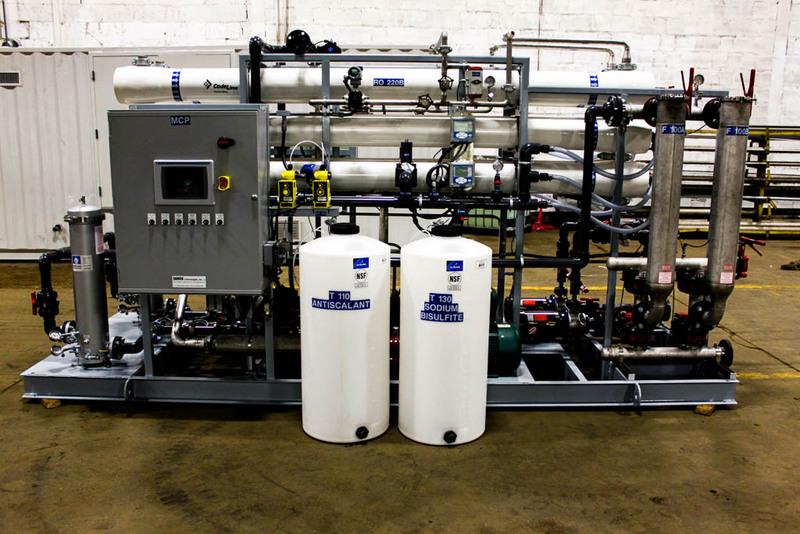 SAMCO’s Reverse Osmosis (RO) and Nanofiltration (NF) technologies are similar processes of separation that force pressurized water through semipermeable membranes, allowing concentrated, purified water to pass through while rejecting contaminates such as bacteria, salts, sugars, proteins, particles, dyes, and organics. RO/NF can be utilized in a wide variety of industrial solutions, including the treatment of brackish water, seawater, wastewater, and potable water generation. Depending on the application, SAMCO offers a variety of membranes for your separation needs. What is the best way to get pure water for our processes? How can we get water with low dissolved solids to feed our boilers? We need to recycle our wastewater stream but the TDS is too high. How can we reduce it? The TDS in our feedwater is too high. How can we lower it? Our product is too dilute. How can membranes help us concentrate it? What is a resourceful way we can provide drinking water for our village? Still have questions? Contact us to see if these technologies can be a solution for you.